and I will put my fear in their hearts, that they may not depart from me. The NLT Bible translation of Jeremiah 32:40 says it this way...And I will make an everlasting covenant with them: I will never stop doing good for them. I will put a desire in their hearts to worship me, and they will never leave me. God has made an iron-clad, rock solid covenant with us that cannot be broken. He has made a commitment to only do good things for us ...forever! If you have ever seen the paintings of God depicted as an angry old man in the sky, then this promise might come as a surprise to you. The enemy of our souls would want you to think that God is not good and that He doesn't want good things for His kids. 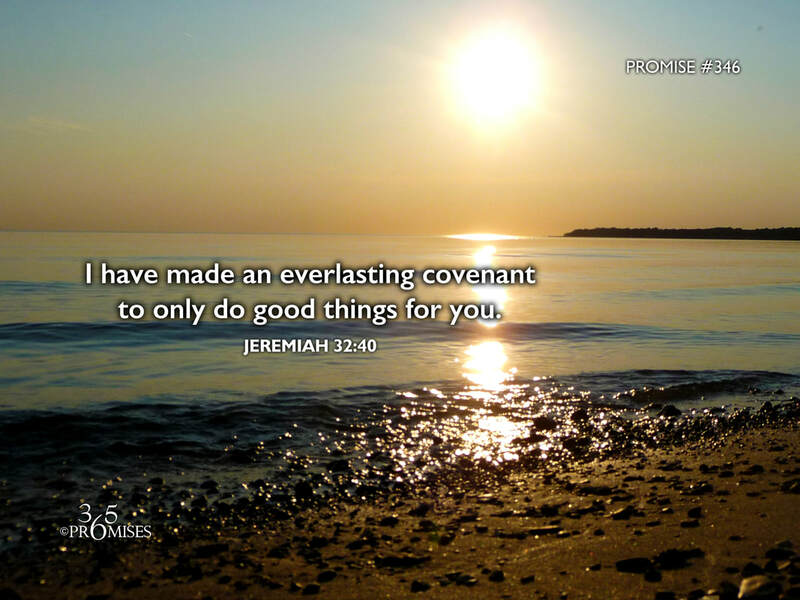 If you struggle to believe that God has made an everlasting covenant to only do good things for you, then ask Him for a deeper revelation of this promise as it concerns you. He is a good Father and He gives good gifts to His kids (Matthew 7:6-8).